Compare cooktops from Smeg, Fisher & Paykel, Bosch, Westinghouse, Electrolux and Chef, on cooking performance & reliability, design, ease of cleaning, features, functionality and overall satisfaction with Canstar Blue’s 2018 review and ratings. 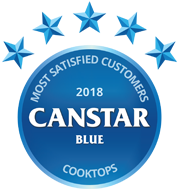 Smeg has taken first place in Canstar Blue’s first customer ratings for cooktops. Smeg earned five-star reviews for cooking performance & reliability, design, ease of cleaning, features, functionality and overall satisfaction. With many of your breakfast, lunch and dinner meals being created on a cooktop, you’ll want it to be durable and well-designed. It’s not an everyday purchase and a lot has probably changed since you last installed one of these bad boys in your kitchen. 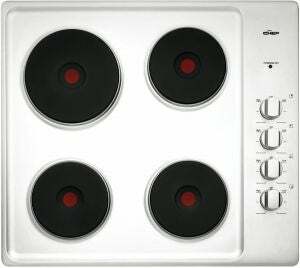 In fact, nowadays buying a cooktop has become much more difficult, with traditional four-burner models almost resigned to the history books. From different types to various sizes, it’s important you do your research to find the right fit for your household needs and budget. So where should you turn for your next cooktop? Our customer satisfaction ratings are here to help answer just that. As we do across multiple kitchen appliances, such as ovens and dishwashers, we’ve surveyed hundreds of consumers and asked for their opinions on cooktops they have installed in their home and have used in the last three years. We asked them to rate their brand on several important factors, including its cooking performance & reliability, design, ease of cleaning, features, functionality and overall satisfaction. These ratings are designed to give you as much helpful information as possible before you make your purchase decision. The only other five-star rating went to Bosch for functionality. It was four stars overall for Fisher & Paykel, Bosch and Westinghouse, while Electrolux and Chef received three stars apiece overall. Let’s now consider what each of the brands in this year’s review has to offer in the cooktops department. Italian appliance brand Smeg offers more than 50 models of cooktops including electric, gas, induction and domino style. Smeg generally leads in design, categorising its range by “Elegant Classic”, the “Avant Garde Linear”, and “Organic Newson” that incorporate different finishes, configurations and installation options. Smeg boasts various features such as vertical flame technology, claimed to guarantee optimum performance using minimal energy. Expect quality materials, eye-catching designs and cutting-edge technology across its full range. Most Smeg cooktops are priced above the $2,000 mark, with the ‘SmartSense Plus’ induction models going up to about $4,500. Its cheapest option is a single burner cooktop (PBQ31GA), part of the Classic Aesthetic Natural Gas line, which has a retail price tag of $999. Smeg received five-star reviews across most research categories in our 2018 review, including overall satisfaction. It also scored a solid four stars for functionality. 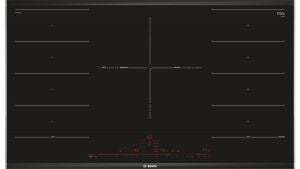 Fisher & Paykel offers a variety of cooktop types – gas, electric, induction and combination models. With more than 35 cooktops available at the time of writing, features you can expect from the range include ‘Touch & Slide’ controls that are claimed to react immediately when you adjust the temperature, plus dual zone and ‘Smart Zone’ systems, which give you a “spacious” cooking area, ideal for entertaining. The Fisher & Paykel cooktop range also entails a variety of sizes to suit different sized homes, as well as plenty of designs to suit your kitchen’s look. Fisher & Paykel is another premium brand, with most prices sitting above $1,000 and maxing out around $2,500. Fisher & Paykel was a solid performer in our review, rated four stars for overall satisfaction and the same score across all other categories. Bosch is a German brand synonymous with technology and innovation, and it doesn’t fall short with its cooktops. Featuring induction, gas and ceramic cooktops separated into four series, conveniently named Serie 2, Serie 4, Serie 6, Serie 8, you’re bound to find a cooktop to suit your household. Each series has a characteristic to fulfil a specific purpose, such as the Serie 6 and 8 being equipped with flexible cooking zones for entertaining. While all boast long-lasting Bosch quality, only the latest models are stated to be equipped with “cutting-edge” designs. Bosch cooktops are also boasted for nine adjustable power levels with the Flame Select technology. Prices for the ceramic range start from $749 to $2,099, while the gas cooktops have retail price tags from $699, going up to $1,999. Its induction cooktops are the most expensive, sitting between $1,699 and $3,999. Bosch rated a respectable four stars for overall satisfaction in 2018, as well as for cooking performance & reliability, design, ease of cleaning and features. It received a five-star review in terms of functionality. Westinghouse, a subsidiary of Electrolux, provides a solid line of home appliances including fridges and dishwashers, as well as ovens and cooktops, which are all typically at reasonable prices. 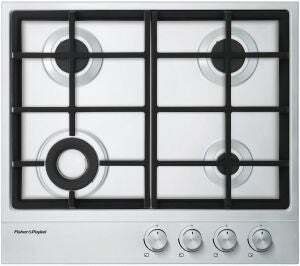 It has a total of 32 cooktops now available, separated into four types – ceramic, electric, gas and induction. Depending on your cooking needs and preferences, there are cooktops with two to five cooking zones, as well as knob and touch controls. Prices start from around $550 for a Westinghouse 60cm natural gas cooktop and typically max out at $2,770 for a larger 90cm induction cooktop, boasted to be a “true centrepiece” to the kitchen with its graceless ceramic glass exterior and touch controls. With the more pricy models, expect five cooking zones of varying sizes and innovative features such as a pause button, allowing the cooktop to halt the cooking and drop the cooking zones to the ‘Keep Warm’ function. Westinghouse got four stars for overall satisfaction and four stars in all other research categories except for features where it was rated three stars. For a slice of Sweden, Electrolux can bring you just that, boasting 30 models from a range of ceramic, gas and induction cooktops. Whether it’s residual heat indicators on the induction line up, or innovative wok burners with the gas options, Electrolux certainly aims to bring some well-designed models. Electrolux cooktops feature similar functions that you can find on the Westinghouse range such as pause cooking with the Stop and Go system, allowing you to step away from your cooking if the phone rings or the kids are in need of your attention. There is also a child lock designed for safety which you can find on the Electrolux 60cm Induction Cooktop EHI645BB ($1,449RRP). With slightly more premium prices, starting from $999, Electrolux’s most expensive model sits at $4,849 RRP. The rest of the range could be found around $2,000. At these prices, you can expect a cooktop that offers you a stylish centrepiece, with trendy black glass models also available (pictured). Electrolux was rated three stars for overall satisfaction and in every category, except in regards to functionality where it was rated four stars. Chef, as the name suggests, specialises solely in cooking appliances, providing some of the cheapest cooktops around. The range starts at $500, but during a sales time, you might be able to score a Chef cooktop for even less. It boasts straightforward solutions with three types on offer including seven gas models, two induction and eight electric. Induction models are stated to provide modern, precise and high speed cooking, with both models in the range being equipped with four cooking zones, similar to the electric range. 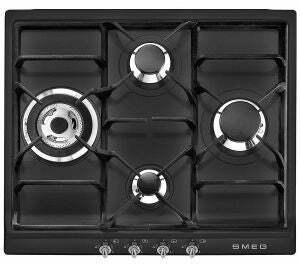 Gas cooktops, however, are equipped with a few more burners – up to five in total – ideal for entertaining. You won’t find many models priced above the $1,000 mark, with the range typically costing between $500 and $700. For a simple model, the Chef CHS642SA 60cm Electric Cooktop features the standard four cooking zones, rotary controls and a light indicator to indicate when the hotplates are still hot. The stainless steel design can blend in with other appliances in your kitchen and won’t break the bank with a $549 retail price tag. Rounding out this year’s review, Chef was rated three stars for overall satisfaction and in all other categories. 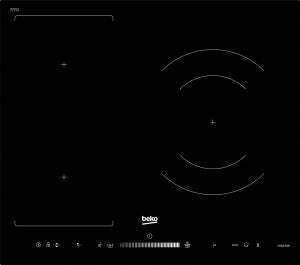 From cooking and laundry to refrigeration and dishwashing solutions, the Turkish whitegoods brand, Beko, features 25 different cooktops in its line-up. There are gas, induction, ceramic and electric solid cooktops with up to five cooking zones. Some of the models feature Beko IndyFlex technology, designed with two cooking zones that can instead be linked together to act as one larger cooking zone, giving you the flexibility to use larger pans and pots according to your needs. Prices for the Beko range start from $599 and max out at $1,499 RRP. Omega is a brand that’s not new on our radar, offering a number of household appliances such as ovens and washing machines. 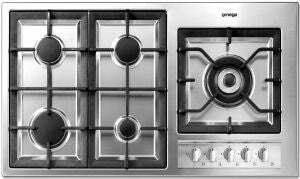 Omega cooktops are manufactured in Italy and there are electric, induction and gas models available. With prices from $499 to $1,699 RRP, the brand covers a number of budgets. It boasts features such as flame failure devices, cast iron trivets and child locks. You can find up to five cooking zones on these cooktops, with some models designed with wok burners to cover additional cooking needs. 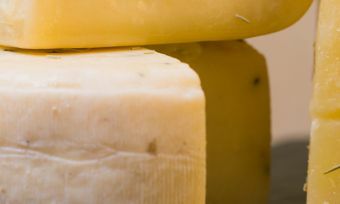 The name DeLonghi might have you thinking of Italy, and that’s because it’s an Italian home appliance manufacture best known for its coffee machines. It also has you covered with cooktops, giving you the ability to whip up some bolognaise or perhaps some gnocchi for dinner tonight. From single burner to five burner models, you’ll also have the choice of buying a cooktop with wok support. 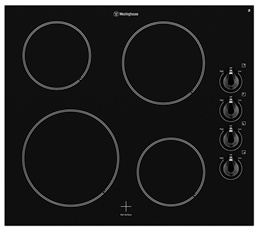 There are gas, induction and electric cooktops in the DeLonghi line up, with price tags from $399 to $2,049. Another Italian appliance brand, Ilve, covers both the home and professional cooks, with many high end ovens. 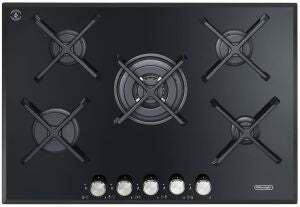 There are gas, induction and electric cooktops available, boasting a number of different features and designs. Prices start at $1,099 with most models sitting in that price range. 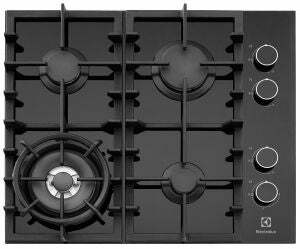 However, for the master chefs, perhaps a Ilve 120cm Gas Cooktop HP125FDT (pictured) is one top opt for. This model features six cooking zones, an elongated fish griddle burner and a cantered wok burner. But you’ll have to splash the cash for this one, being priced at $5,499RRP. It’s certainly not one for the amateur cooks. With numerous brands available, you might like to first consider the features that are most important to you in a cooktop. We’ll look at the types, size, power settings and features as key factors to keep in mind before jumping into a purchase. There are three standard types of cooktops – gas, electric and induction – all with their own pros and cons. Gas cooktops are the most common (50%), according to our survey, but one in 10 Aussies (11%) now own an induction cooktop and the remainder use electric (38%). 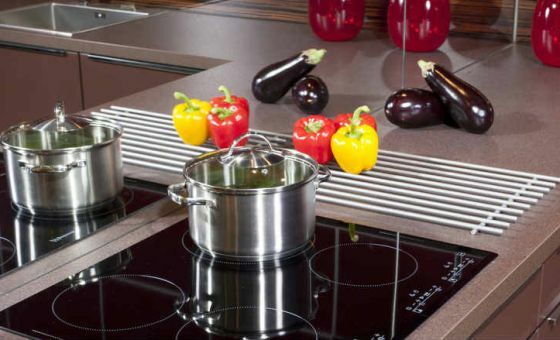 Induction cooktops are relatively new to the scene of cooktop technology. 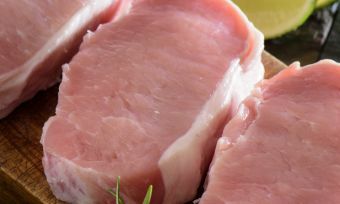 This type uses magnetic fields to induce heat within cookware placed on the cooktop. 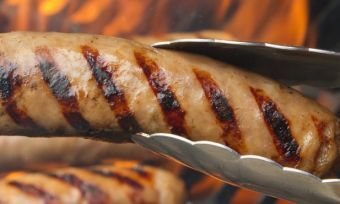 They’re generally considered to be a faster, safer and more efficient way to cook. This type only works with cookware that is made of a ‘ferrous’ material, meaning it has a high iron content, which leads us to the next point of looking into compatible cookware for your cooktop. Compatible cookware is particularly important for induction cooktops. With this type, you can only use induction-compatible cookware. To check whether your current cookware can be used on an induction cooktop, place a fridge magnet on the base and if it doesn’t stick, it won’t be suitable for an induction cooktop. Gas, electric and ceramic cooktops, on the other hand, allow any kind of cookware, including induction-compatible cookware. Induction cooktops come with a number of power settings. These allow you to cook various dishes at different temperatures, at the same time. The more power settings you have on a cooktop, the more expensive the unit will be. On average, households spent $944 on their cooktop. However, it might be useful to have more settings if you regularly cook large meals for the whole family. Canstar Blue commissioned Colmar Brunton to survey 3,500 Australian adults across a range of categories to measure and track customer satisfaction. The outcomes reported are the results from customers within the survey group who have a cooktop installed in their home and have used it in the last 3 months – in this case, 725 people. 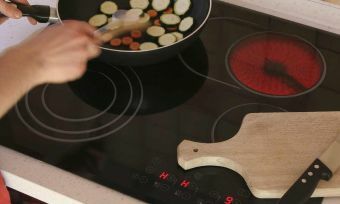 Induction cooktops generate heat directly in the pan, cooking with less time and less wasted heat. But are they worth it? Find out more at Canstar Blue. The Series 8 provides fast, precise, and efficient cooking using adaptive induction cooking zones. Read the review at Canstar Blue.